Laid-back music on Chillout Essentials. Perfect for chilling on the beach, in the bath, in your garden or up a tree. What every you’re at, we’ve got some classic chillout tunes to get you in the mood. 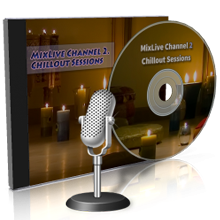 Relax and enjoy 24/7 live streaming music online or download MixLive mobile app and listen on the go.